"Sai Lakshmi and Stephen Bourke, like millions of others in the UK, both take repeat prescriptions. To stop people from forgetting to re-order and remind them to take pills the pair have created Echo. 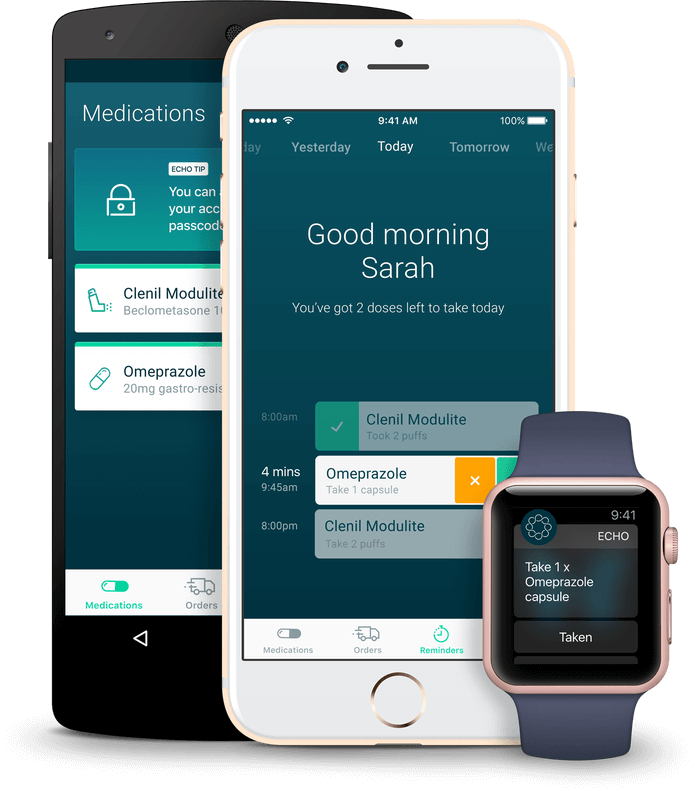 The app, which is free to download, is billed as a way for NHS patients to receive, take and manage repeat prescriptions – and it's just received £1.8 million in seed funding. Echo works by tapping into the NHS' digital prescription service to send prescriptions electronically. "Once you've downloaded the app and loaded the medications you're taking we get in touch with your NHS GP to make sure you are entitled to take those medications," Lakshmi, who has an engineering science PhD from the University of Oxford, told WIRED. Prescriptions can be added to the app by scanning a barcode or searching the app's database. "Once the prescription comes back to us, our pharmacy partners pick and pack the medications and send them to the user with Royal Mail". Using natural language processing the Echo app also converts instructions from GPs into notifications for users. It's been designed, Lakshmi says, to "remove a lot of the pain points" in re-ordering prescriptions. The NHS' digital service lets people get repeat prescriptions without making trips to their GP. The health service says it will eventually become the "default option" for prescriptions through an online account.TechCrunch, Bourke said the current system was "fragmented" and that his company could help fill in gaps by communicating with pharmacies, patients and GPs. The firm, which launched its iOS app today, has ten pharmacy partners that can send prescriptions to the app's 1,500 users. Bourke tells WIRED the app is compliant with NHS standards for data processing and only stores data provided by the customer. Everything that is stored is encrypted using SSL. The London-based firm also has a prescribing pharmacist and NHS doctor as part of its 12-person staff. "We're focussing on England specifically as we have a deeper level of integration but it does work anywhere in the UK," Bourke said. Echo does not charge its customers extra to download the app or order prescriptions, though the standard £8.40 per item prescription charge remains. "It's similar to Uber and Deliveroo," Lakshmi said. Both the pharmacy partner and Echo get a cut when an order is placed. "Right now we're building out our tech and operations team," said Lakshmi. "Also we want to deploy new products and services in 2017 that can improve the experience.""